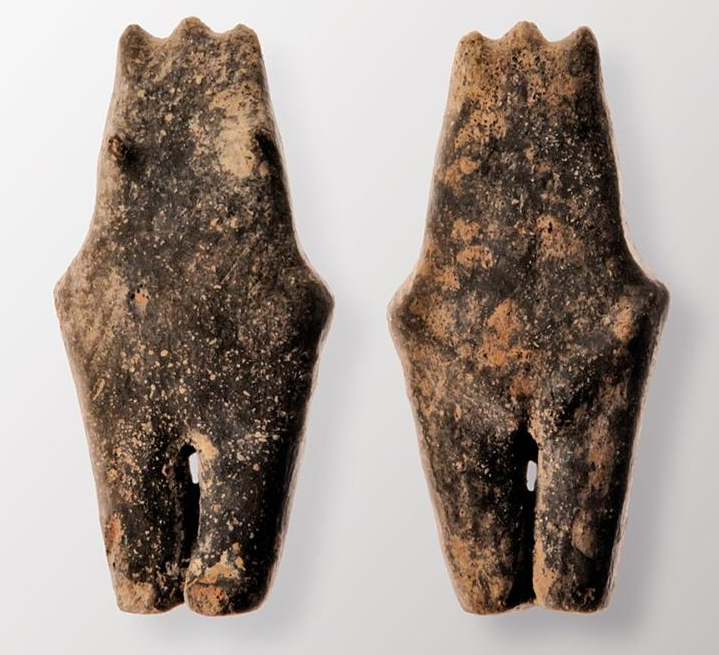 Unique on the Polish scale clay figurine from the Neolithic period (fourth millennium BC) depicting a stylised woman figure has been found during the excavations in Racibórz. "This find is a sensation in the archaeological world, because so far only a few and small fragments of human figurines from this period have been discovered" - told PAP Jacek Pierzak from the Silesian Regional Office for the Protection of Monuments. The object was discovered during the survey of the planned flood reservoir Dolna Odra, conducted by the Archaeological Rescue Research Team at the Centre for Prehistoric and Medieval Studies of the Institute of Archaeology and Ethnology PAS in Poznań. The figurine was dubbed "Venus of Racibórz" because it is similar to other finds of this type known from Paleolithic sites. It has clearly shown legs, wide hips, breasts, and three nodules at the top, the central of which is a schematic representation of the head, while the outer two are interpreted as hands raised in a gesture of oration. Figurine from Racibórz, however, is made of different material, than Venus - it is made of clay, while Venus was sculpted in stone. Discoverer of the "Venus of Racibórz" is Marek Anioła, archaeologist who conducts work at the site. "Female figurines are associated with the worship of fertility and the mother goddess, they are also considered by some scientists to be evidence of the importance of women in the Neolithic period" - said the coordinator of the archaeological work Dr. Przemysław Bobrowski. It's not only interesting archaeological discovery made during the work in the Racibórz area. The study includes 15 archaeological sites from different periods. They are part of a larger project conducted by the Consortium of the Institute of Archaeology and Ethnology of the Polish Academy of Sciences in Warsaw, the University of Wroclaw and the Adam Mickiewicz University in Poznań, at the request of the Regional Water Management Authority in Gliwice.